Nemo Analyze is a highly efficient and fully scalable analysis tool for benchmarking, automated troubleshooting, and statistical reporting based on drive test data. For benchmarking, its predetermined report templates help compare KPIs from different operators, technologies, and time frames, and visualize the results in a single report. Nemo Analyze supports all the major network technologies, including LTE, HSPA+, and CDMA2000. Nemo Analyze is the ideal post-processing solution for data produced by Nemo tools, Ascom TEMS™ product family, EADS REMS TETRAPOL, and R&S ROMES. Nemo Analyze’s support for CSV (Character-Separated Value) format also allows importing of ASCII data into the database, enabling for instance Wireshark/Ethereal and network counter data to be correlated and post-processed together with Nemo drive test data. 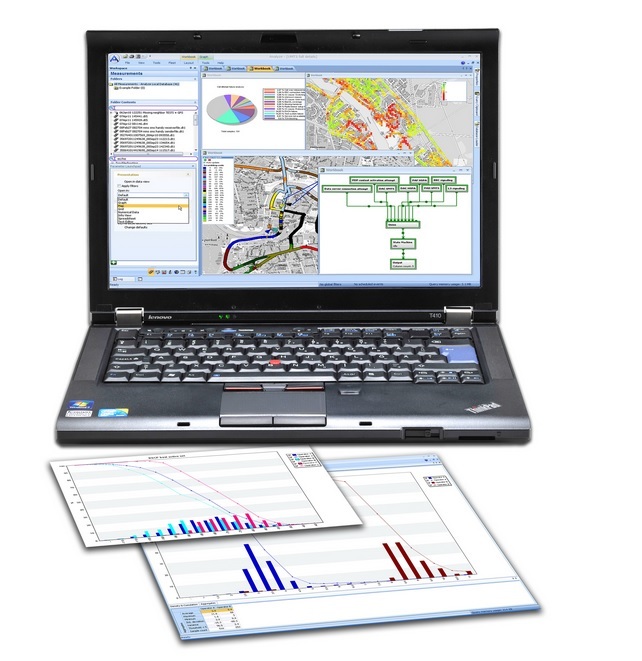 Nemo Analyze Standalone/Client supports 64-bit platforms Windows® 7. Integrating Nemo Analyze with other Nemo tools provides a complete automated data processing chain from raw measurement data to automatically generated results in workbook format. 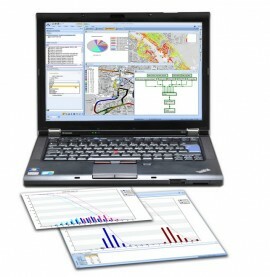 • Best-in-class data visualization with fully customizable, time-synchronized multi–page workbooks and a comprehensive set of data views, including maps, grids, line graphs, bar graphs, pie charts, surface grids, color grids, and spreadsheets. • Support for KML-based live maps, Google Maps, Google Earth, and OpenStreetMap. • Diverse reporting options from instant reporting to MS Excel compatible reporting. • Up-to-date support for every major wireless technology, incl. LTE/LTE-A CA, HSPA+, CDMA, and EVDO. •Full automation of the data processing chain, from drive test data upload to full analysis results. •Seamless integration with Nemo products ensures 100% correct interpretation of the measurement data produced by your Nemo tools. • Nemo Analyze Standalone – A desktop/laptop drive test post processing tool providing in-depth analysis, reporting, and optimization capabilities. • Nemo Analyze Enterprise – Fast and powerful enterprise-level database server solution for drive test post-processing. With Nemo Analyze Enterprise all measurement data in an organization can be centralized on a single server. This ensures that your organization’s entire body of measurement data is always securely stored, backed up and accessible to multiple simultaneous users. • Nemo Analyze Snapshot – A drive test post-processing solution providing instant data reporting, benchmarking, statistics and map plots via web interface. Corporate-wide access to nationwide network KPIs is made possible by data pre-aggregation and in-memory analytics engine.